Here is my best-roads-segments top 10 of this crazy adventure. You’ll find here different sceneries that were the most eye-opener, the most jaw-dropping places, where the most “wow” were shout. I would recommend those places to anyone who would like to wander on a bicycle, walking, in a car, on a donkey or whatever else in the continent’s mountains. You’ll find the maps of all the following roads by clicking here. This is where everything started. Even if I wanted to cycle through the continent’s mountains, I initially planned nice little paved road to bring me South. Therefore, starting by a 700-km trip on gravel on Canada’s northernmost (and quite remote) road kind of contaminated me. If afterward I was putting my life harder by taking dirt roads, it’s Dempster Highway’s fault, which seduce me with its low traffic and infinite landscapes. This road crosses a quite nordic forest, vast toundra zones and two mountains ranges. Two river crossings are done by ferry. Points to get food is rare, except a few Natives villages in the northern part of the road. Halfway, an island of wannabe civilization (restaurant, camping, shower, garage) can help, without being able to buy food supplies. But if you prepare well, this Canadian Great North road will amaze. Don’t forget the mosquito repellent. 740 km from Inuvik to Dawson City, unpaved except the last 40 km to Dawson City. A pdf guide of the road, with services and attractions can be downloaded here. 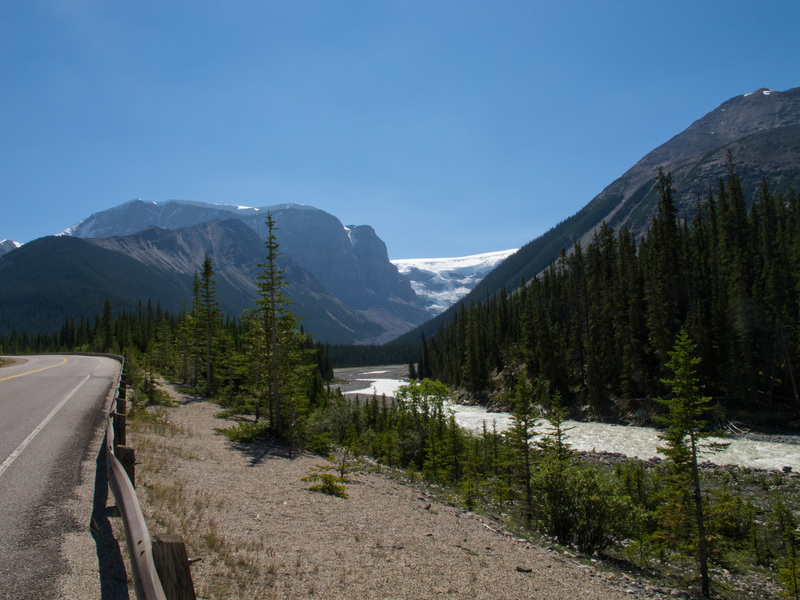 A classic of the Canadian Rockies, the Icefields Parkway will make you discover raging waterfalls, snowy mountains, glaciers and will make you stop to go on a few hikes. Even if there is a lot of road traffic, it is composed of holiday-makers taking the time to enjoy the scenery and a good shoulder let cyclists keep a good distance. 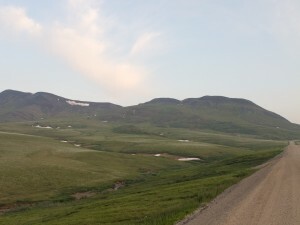 If the landscape would give them a better position to this road, the management of the park make this road loose points. While in United States, it’s cheaper for non-polluting two-wheelers to visit national parks and campgrounds have reserved sites for cyclists and hikers who can’t get early enough to get a site as they have to bike/walk there, nothing of that exist in Canada. Cyclist are then harassed by park ranger who don’t really know what to do with us as there is no “official” spots in the campgrounds and prohibe us to do wild camping. Try to avoid August. 230 km from Jasper to Lake Louise, entirely paved. A detailed map of the road and its attractions can be download here. Geysers, bisons, deep canyon, elks, colourful thermal waters, lakes, waterfalls… the neighbouring park in Northwestern Wyoming have everything to please the cyclist : it has a reduced entry-fee for cyclists, there are many campgrounds that can make easy day-steps (somes are closing mid-September though) and mainly, no stress to drive around the park with a car. 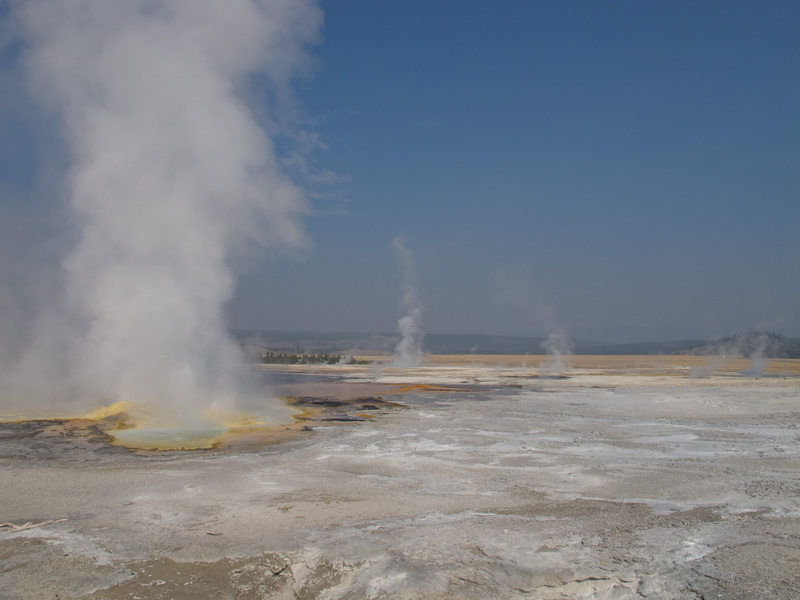 Sometimes, you pass by traffic jam near or in parking entrances where you can visit some geysers or other geological marvels. By bicycle, you overpass everyone, then lock the bicycle at the entrance of the walking track, take the camera pannier and you’re all set to visit! There are places to stop and visit almost every half-hour. While at the campground, people are waiting in line to get a camping spot for their car, cyclists and hikers gather in a spot often away from the general crowd, for a third of the price. If there isn’t long hikes in Yellowstone park, Grand Teton offers good mountain hikes. Paved road. There are park exits/entrance in every cardinal directions and a road on a 8 form links the attractions. The road I did in the two parks summed up 374 km. Maps of the Yellowstone Park are here while here are found maps of Grand Teton Park. If Canyon del Pato shows up in tourist guides by it’s impressive entrance into the Cordillera Blanca region on a sinuous road that goes through almost forty tunnels, the Chuquicara Valley road is more unknown but still impressive. You get there by staying on the mountain road instead of going to Chimbote or Trujillo on the coast. 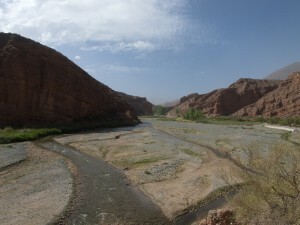 No tunnels though, which gives a panoramic view on the aridity of the area. We feel quite small at the bottom of this deep rocky valley. It’s under the name of progress that people are here : mine remains, ghost towns, dams. Don’t forget the headlamp for the tunnels. About 130 km to go down a valley and up the other one. The valley road of Canyon del Pato isn’t paved. Some segments of the Chuquicara Valley are, but often one lane wide. There is a lot of space to play in this marvellous National Park of the Cordillera Blanca, a mountain range which summits go up the 6.000 meters elevation. It is possible to enjoy treks and expeditions from the towns of Caraz, Carhuaz or Huaraz. Some roads cross the park over the Cordillera Blanca. If the landscapes are breathtaking, the altitude as well. Passes go up to 4.500 meters and if you don’t take the time to acclimate, the experience can be annoying. 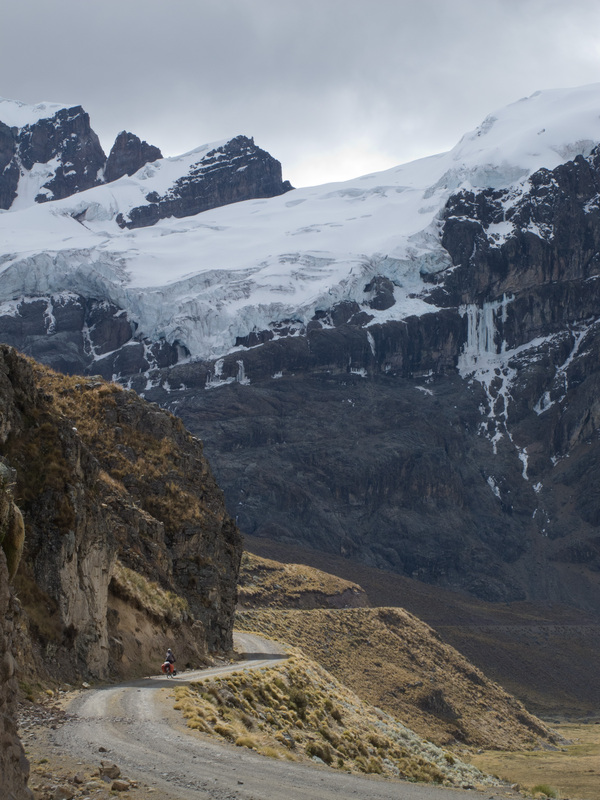 The road I took to go through the parc wasn’t paved in the parc limits and was 120 km from Huaraz to Huallanca. From Carhuaz, a newly paved road goes through Punta Olimpica pass. While getting down at Moyogalpa, the entry port of the boat leaving San Jorge, I immediately felt that time pace was even slower than Central America’s slowness. 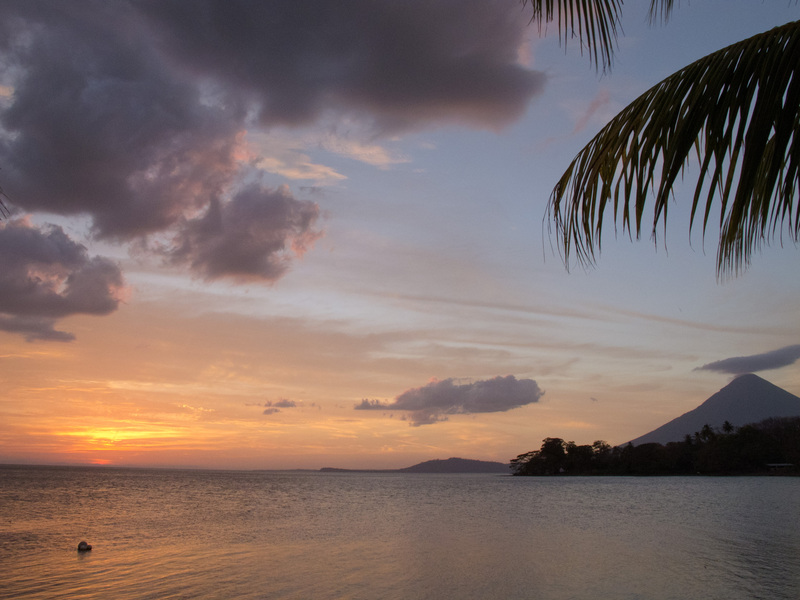 The Ometepe Island charmed me. The roads are going around the two volcanoes that united in an island into Lake Nicaragua. Many little villages, each of them having some cheap places to sleep, give the opportunity to split the trip on easy days, to enjoy a hike to a volcano, some fresh thermal waters or waterfall. Each year, a few hundred meters of roads are covered with a cement layer but still nobody seems to want to run on the island. Many boats leaves San Jorge port everyday. Altagracia, on the other side of the island, is a stop of the weekly boat doing the Antigua – Altagracia – San Carlos run. 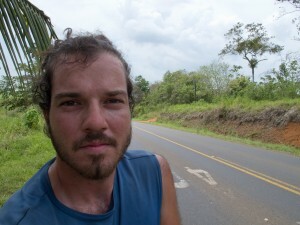 Let’s give the credit to the roads where you’ll fin de highest number of cyclotourists in South America. If as many people come to specifically bike on those roads, as well as being visited by many local cyclists, it’s probably because there’s a reason: it’s gorgeous. To not make anyone jealous between Chile and Argentina, let’s put them both in forth position. Chances that it will rain more than it will be sunny doesn’t stop people to gather on the Carretera Austral to enjoy the thick forest, snowy mountains and glaciers (don’t miss Queulat). If you’re lucky, you might even glance at a few dolphins while riding along Puyuhuapi fjord (upper picture). 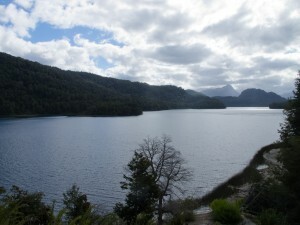 The Seven Lakes Road, of its name in English, explores many lakes in Lanín and Nahual Huapi National Parks in Neuquén province, in Argentina. Even if you could cross the region in two days, many cyclists take up to a week to stop along the many lakes and campgrounds. 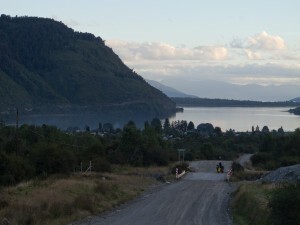 The Carretera Austral stretches over 1.250 km from Puerto Mont to Villa O’Higgins. This map shows the segment I took. Mainly unpaved, but every year, new segments are covered. Here, an article of the official Chilean tourism website. For the Ruta de los Siete Lagos, count 110 km to link San Martín de los Andes with Villa La Angostura, without counting possible detours along the way. The last unpaved segment was in asphalting process while we were there. Website of Nahual Huapi National Park. Alternative road to the Panamerican Highway in Colombia, south of Medellín, going through small towns perched on the top of mountains overhanging deep valleys. 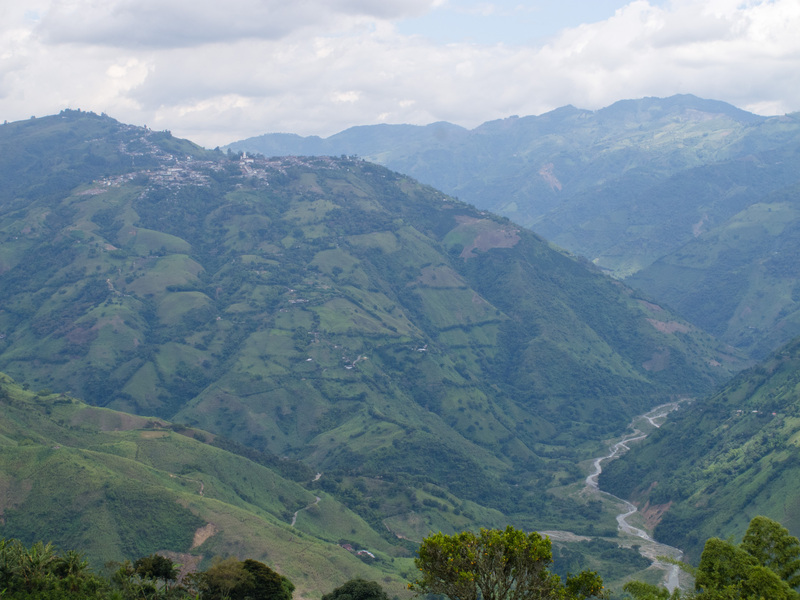 Andes are so green in Colombia, contrasting with the rocky and arid ones that lay further South. This road isn’t the easiest one: if you could fly, you would feel just beside the next town, but you actually have to go all the way down to the valley and climb up on the next mountain. The tropicality of the place will amaze, the tranquility of the roads will appease and the authenticity of the towns will charm. 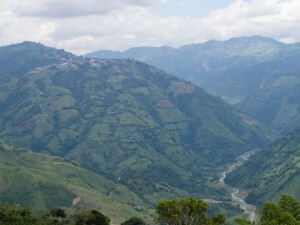 Count 180 km from the intersection of La Pintada, on the Panamerican Highway, to Manizales, Caldas’ department’s capital. 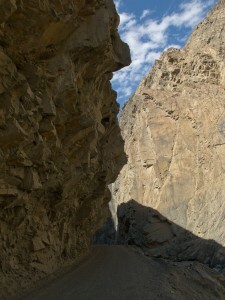 Narrow road, some segments are paved, but broken occasionnaly by former land slide. Thermal sources where nobody’s there. Salt basins with dazzling spectrum. Pure and revealing starry sky. Sometimes fuming volcanoes. Llamas, vicugnas, alpacas, viscachas, flamingos, rhea birds. Abandoned or little populated ghost towns. Scattered mountains limiting the infinite view of treeless Altiplano. An other world. The raging sound of the wind or complete silence. A challenge. You generally find yourself between 3.500 and 4.000 meters elevation. A hard pass goes a bit over 5.000 meters, but can be avoided by a long detour. 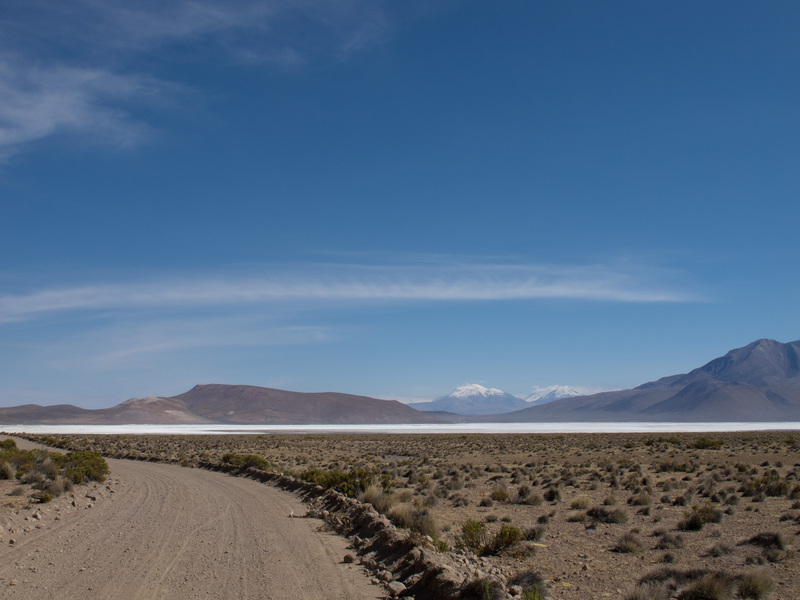 It’s a parallel itinerary from the famous Uyuni salar and Lagunas Road in neighbouring Bolivia, minus the 4WD line ups of tourists, minus the gigantic salar. Here, you cross many little salars, each one with their impressive fauna. I did 590 km on this road, linking the border control of Chungara to Calama. The last 80 km might be straightforward but if food and motivation reserves are good, you can turn on the road that brings back close to the border and get to San Pedro de Atacama. North from Chungara, the Ruta Andina goes all the way to Tripartite point, where Chilean, Bolivian and Peruvian borders meet. 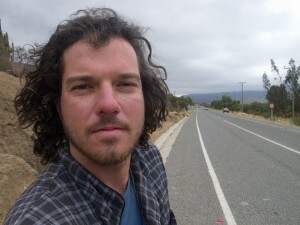 My blogpost on the Ruta Andina here. The quality of the road goes to sandy roads to perfectly paved, with everything in between. Here is a high geological value spot and this is not into a National Park. We are on the mythical Ruta 40 which here is only a thin gravel road. From Abra del Acay, the highest point of the road, it’s downhill towards the Calchaquíes Valleys. A few rivers needs to be walked through on the downhill. The road follow a quite large valley along a river which is sometimes strangled by rock formations. The road needs to climb it up, and go back down in the next valley. Add to that some cactus, a few not-in-a-rush old cars, goats and cows cattle, a cowboy here and there, some other reddish rock formation coming from an other planet and you’ll have the eyes wide open all the way to Cafayate, a wine region where stopping to taste can be possible. Halfway, Cachi has charm with its white buildings. From here, you’ll meet more cars, often tourists doing the loop from Salta, the provincial capital, going through Cachi and Cafayate. But nothing too agressive; everybody take the time to enjoy. You need to count 260 km from the Abra del Acay pass, close to 5.000 meters elevation, to Cafayate, at 1.600 meters. Needless to say than doing the ride North to South is easier. Climbing the pass from the other side, from San Antonio de los Cobres, is shorter as this town is still at an altiplanical height of 3.775 meters. The road is mainly unpaved but short sections are. 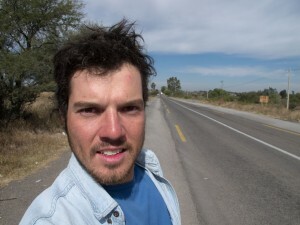 Coming from Salta, it is possible to meet Cachi and then do the Southern half of the described road. Calchaquíes Valleys website. You’ll find all the maps of those chosen segments by clicking here. This entry was posted in 16. Post-retour by CycloExpedition Americas. Bookmark the permalink.